Dixon Balston Design Ltd was established by Geoff Dixon and Tom Balston in 2011 to provide bespoke, design led cabinet making and joinery services from just outside Petersfield in Hampshire. With their combined experience of 40 years, Geoff and Tom make it their business to ensure high quality workmanship in the production of furniture and joinery items. We can make anything in wood, from joinery items like doors and windows, to bespoke items of fine furniture. Ernest Smith is a family run company who work as a team to provide the customer with the best service possible. Kevin Smith has over thirty years’ experience in the fitted furniture industry specializing in the supply of high quality made to order kitchen, bedroom, office and lounge furniture. At Ernest Smith we’re here to help at every stage. Getting bespoke fitted furniture from us is straightforward. We offer a friendly professional service where all our customers receive our personal attention. From the design to the installation of the furniture we will work with you to ensure the furniture is made to your exact requirements. With many satisfied customers we aim to supply superb quality furniture that is true value for money and peace of mind. Our policy is to make absolutely sure that each customer is completely satisfied with the products and service they receive in their home and would then be happy to recommend Ernest Smith Fitted Furniture to their friends and family. Visit our showroom where you’ll be sure of a warm welcome. We are a small company with over 20 years’ experience in the design and making of bespoke furniture, interiors, kitchens, bedrooms, studies and freestanding hand-made furniture. We use a broad range of styles and finishes to create traditional, contemporary and modern items, so we are able to cater for all tastes. We know that it is never easy selecting furniture that suits perfectly to your space - no home or individual is the same. So, why should you try to make something fit when you can have something tailor-made? We create custom built furniture, tailored exactly to your requirements. From custom-made fitted kitchens, studies and bedrooms to all types of bespoke handmade and freestanding furniture, we utilise a broad range of styles and finishes to create traditional, contemporary and modern items. Stuart, the owner, lives for the challenge of creating unique furniture that compliments and enhances his customer's interior design. Please get in touch with details of what you'd like and let us help you! I design and make special one off items of furniture, anything you want pretty much. I will design it with you to cater for what you want it to do, rather than what you can get. I also repair Antique furniture and have great experience in both fields. 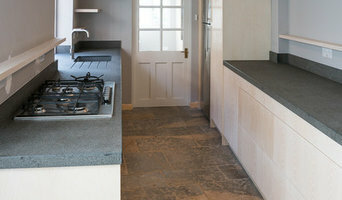 Beau-Port design and install handmade kitchens, studies, bedrooms and interiors. We pride ourselves on on providing the very best quality products and service. Our attention to detail is second to none. Deane is Hampshire's leading manufacturer and provider of luxury bespoke & affordable fitted wardrobes, and storage solutions to retail and luxury homebuilders. Our beautiful Mereway kitchens complete our whole house offering. As a long-established family-run business, we pride ourselves on providing high quality made-to-measure products and exceptional customer service. My name is Glyn Curtis, I design, manufacture, fit and project manage, kitchens, bedrooms and unique furniture. We are a small based company specialising in a small but detailed work ethic. I founded Curtis Designs because I am passionate about making all types of furniture, this will reflect in the quality of finish I can produce for the client. In addition I find my work very satisfying and feel fortunate that I can spend most of the day doing a job I really enjoy. After successfully completing an apprenticeship I moved onto qualifying to advanced level in carpentry and joinery. Since then I have worked in the joinery/cabinet making industry for over 30 years and have acquired the necessary additional knowledge and experience to offer a one-stop solution to any home improvement project. I work with only trusted and certified tradesmen all of which I personally guarantee a very high quality standard and finish. I use 3D Computer Aided Design (CAD) to draw and display project designs. This offers the experience of virtual walk through and realistic rendered images. This helps clients to have a better understanding of what the finished project will look like. All of our furniture is personally made in England. All my clients are welcome to look in on any part of the manufacture process if needed. I am constantly updated with the latest concepts from my suppliers to give clients the best options for their requirements. I aim to give my clients regular updates on all stages of progress and I have a proactive approach with the ambition of being one step ahead. All furniture is designed and built to our client's specification, from the wood used to the budget. David Stephenson bespoke furniture designer maker. Handmade freestanding fine furniture made to your requirements. 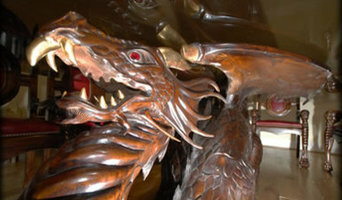 Antique and modern furniture repairs and restoration including French-polishing. Private tuition. Based in Alresford near Winchester we are a bespoke kitchen, hand-made furniture, new wood flooring and floor sanding & restoration company. We combine craftsmanship with an eye for sophistication to produce beautifully designed and finished contemporary and traditional furniture. As well as furniture we create bespoke, handcrafted, fully fitted contemporary, modern or timeless classic kitchens. Another passion of ours is wood flooring, our solid wood floors are authentic and enhance any room. Each floor is designed and fitted with care and keeping with the interior of your property. The colours and finishes are all hand applied with care and attention for a magnificent feature floor you will be delighted with. Or if you already have a gorgeous wood floor that needs a bit of care our floor sanding services could be the perfect solution! A lovingly restored wood floor can pleasantly enhance and add charm to any room. Bringing life and lustre back to a dull floor is truly satisfying. We recognise attention to detail is essential, keeping the authenticity of the existing floors boards, for the best result possible and we will help you restore your floor to its natural beauty. Swan Systems Furniture specialise in creating beautiful and practical bedroom storage furniture. Our team can offer you higher quality products and a more dedicated service. With perfection as standard, your bedroom furniture project will flow like a dream. We are based in Titchfield, Hampshire with showroom here and in West End Southampton. Our products are made in Titchfield, Hampshire and we offer a fitting service to customers within Hampshire. And we deliver nationwide our own brand of Swan Sliding Wardrobe Doors. Why should I hire an Itchen Abbas, Hampshire cabinet maker? Cabinet makers are skilled craftsmen who can design, make, rework and repair cabinets and cupboards. 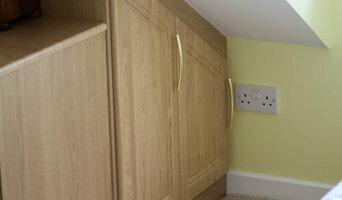 They can create bespoke storage or kitchen units for your home that meet your needs and fit with your interiors. They can also advise you on materials and cabinetry styles if you’re not completely sure on the design yet. With the right bespoke cabinet makers in Itchen Abbas, Hampshire, no cabinetry job is too difficult, so even if you have a tricky corner space that you want to utilise, an Itchen Abbas, Hampshire cabinet maker can create a cupboard to your specifications. Bespoke cabinet makers are more than just bathroom or kitchen cabinet manufacturers and they can be commissioned to create storage cabinetry around the home. Bespoke TV cabinets are in popular demand due to the variations of TVs, consoles, digital TV boxes, DVD players and other items that we want to keep near to our televisions. Skilled cabinet makers in Itchen Abbas, Hampshire can create a one-of-a-kind TV cabinet or media centre to house all your entertainment goodies. If you already have cabinets or cupboards that you’d like to keep, but they’re just in dire need of a facelift, then bespoke cabinet makers may be able to help, too. 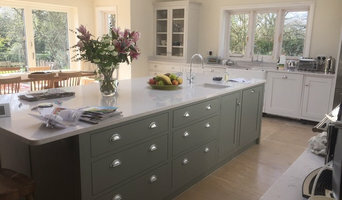 You may wish to replace kitchen cabinet doors, give your cupboards a new colour, add decorative elements or use a special finish; whatever the cabinetry task, ask cabinet makers in Itchen Abbas, Hampshire if they can help you. If you need the help of a cabinetry professional when renovating a home, make sure they are happy to work with any other professionals working on the project. Here are some related professionals and vendors to complement the work of cabinet makers: Kitchen & Bathroom Designers, Kitchen & Bathroom Fitters, Interior Designers, Home Storage Designers & Professional Organisers, Carpenters & Joiners. How long have you been cabinet makers in Itchen Abbas, Hampshire? Find a cabinet maker on Houzz. Narrow your search in the Professionals section of the website to Itchen Abbas, Hampshire bespoke cabinet makers and cabinetry. You may also look through Itchen Abbas, Hampshire photos to find examples of cabinets that you like, then contact the cabinet makers in Itchen Abbas, Hampshire who worked on them.